Sports on TV • Mark Shuken used to work for DirecTV, so maybe that will help. The incoming president of the Pac-12 Networks already has been asked repeatedly about DirecTV, but he’s not complaining. “It’s the right question,” said Mark Shuken, who believes it’s still possible to come to an agreement for the satellite TV giant to carry P12N. And he was the president/CEO of DirecTV Sports Networks (including ROOT Sports Rocky Mountain) from 2009 to 2011. Shuken’s résumé includes stops at Time Warner Cable Sports, Liberty Media and Fox regional sports networks. And he has a history of making distribution deals. 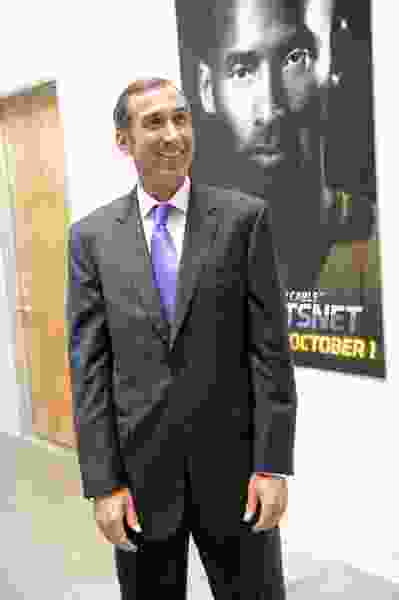 At his most recent stop as senior vice president and general manager of TWC’s Dodgers channel in Southern California, he didn’t make much progress with distribution. But Shuken has done it before and he’s confident he can work with DirecTV. There hasn’t even been any indication of active talks between the two in years. The Pac-12 has stood firm on the price it believes the channels should command — the price various cable providers and Dish Network are paying — and DirecTV maintains the channel isn’t worth what it’s asking. And the league doesn’t want to have to renegotiate its current deals by cutting the price it charges DirecTV. But Shuken doesn’t see that as a roadblock. “I don’t believe so,” he said, adding that P12N’s current deals “seem to be fair to everybody” but that he believes there is now “an opportunity to reconnect with DirecTV and figure out how to deliver the product their customers want. Shuken also is undaunted by the Pac-12 Networks’ challenge of keeping up with the competition. SNL Kagan recently valued P12N at $305 million, compared to $1.142 billion for the Big Ten Network and $4.692 billion for the SEC Network — in no small part because P12N is in a fraction of the number of homes of the other two. SNL Kagan also reported that the SEC Network’s average monthly subscriber fee is $0.74, compared with $0.43 for the Big Ten and $0.27 for the Pac-12. In Shuken’s previous positions, he worked with nine of the 12 Pac-12 members, but not with the University of Utah. He’s not unfamiliar with Utah, however, because he oversaw ROOT’s coverage of the Jazz. He’s planning on visiting all 12 Pac-12 campuses in his first 100 days on the job at the Pac-12 Networks. Including, of course, Utah.